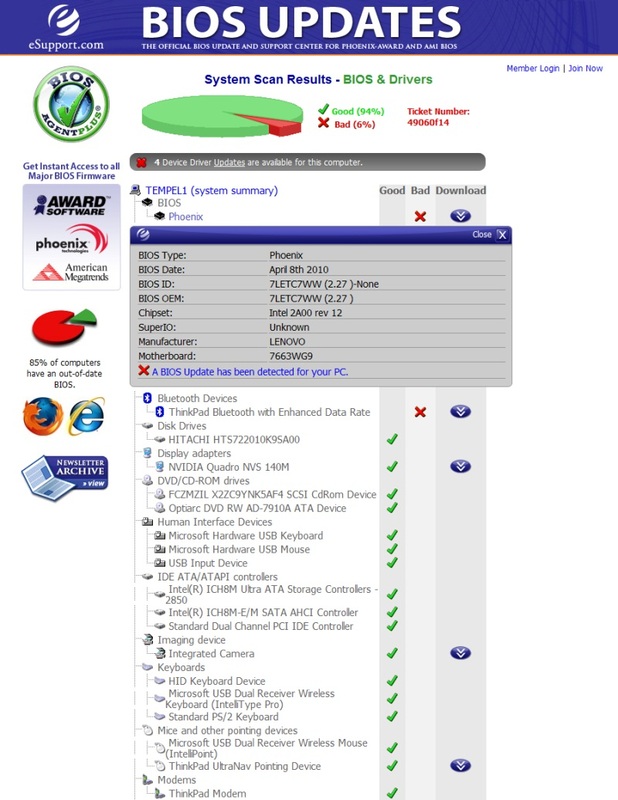 BIOSAgent Plus is award-winning software that easily and automatically identifies, locates and updates the latest BIOS and device drivers you need for your computer. BIOSAgentPlus saves you precious time and ensures your PC runs at its very best. FREE Bios Report! BIOSAgentPlus makes it easy... It's easy to update your computer BIOS. In 2 Minutes or less, BIOSAgentPlus scans your computer and finds exactly the right updates. Qweas is providing links to BIOSAgentPlus 2.2010.11.10 as a courtesy, and makes no representations regarding BIOSAgentPlus or any other applications or any information related thereto. Any questions, complaints or claims regarding this application BIOSAgentPlus 2.2010.11.10 must be directed to the appropriate software vendor. You may click the publisher link of BIOSAgentPlus on the top of this page to get more details about the vendor.